Veterans: 10% discount on franchise fee to qualified military veterans. 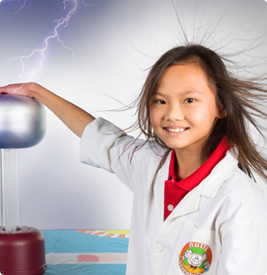 It’s true, one of the main differentiators between Nutty Scientists® and other kids learning franchises is that we aren’t afraid to get a little wacky. 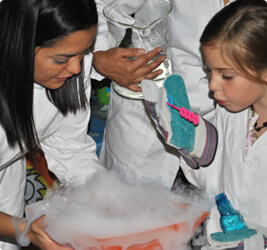 Our franchisees and their staff create fun, hands-on, spectacular interactive activities in the form of shows or workshops related to science, which incorporate aspects of technology, engineering, art and mathematics (STEAM). 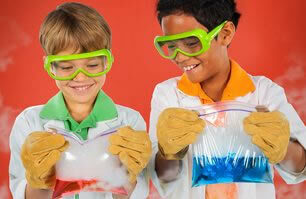 In addition, we pride ourselves on incorporating an artistic component, tying art with science. We consider ourselves experts in “edutainment” (entertainment + education), which means that we truly engage children – through participation, experimentation and observation. We’ve been running the Nutty Scientists® franchise since 1996. We understand that you have not. We will teach you everything we know about finding the best customers, executing the best programs, and keeping people coming back for more. This first training course is related to management, marketing, sales techniques, programs, personnel policy and organizational business systems. You’ll also gain access to our training videos and manuals. We will assist you in selecting, instructing and training, your first instructors (creative individuals who will perform the shows and facilitate the workshops). We will then help you jumpstart operations by assisting in the organization of your first promotional activities. Your own location “microsite” on our Nutty Scientists website. This will provide you with the ability to edit/customize the website to your liking while keeping consistency and uniformity with our brand. Access to the Nutty Scientists intranet where you can download sample proposals, images, videos, scripts, and any other marketing materials you might need. Access to thousands of science experiments and a countless number of workshops (which are continuously being updated with R&D). Telephone and email access to our professional staff during normal working hours/days, as needed. 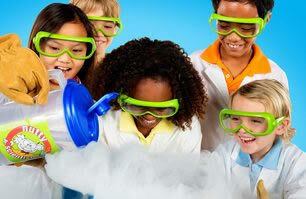 Open communication with other Nutty Scientists franchisees via our intranet and email to share experiences and advice. Initial kit of branded promotional and workshop materials to help with the marketing and development of your business. Over the years we have found that our most successful franchisees have a mix of tangible and intangible qualities. A passion for working with children and a desire to make a difference in your community are two non-negotiable characteristics. You don’t need to have a background in science but rather a strong sales and marketing background with the ability to develop and grow a thriving business. Franchisees must live in the market they wish to operate. Please call Kevin Schlosser directly at (786) 600-1135. Nutty Scientists is currently accepting inquiries from the following states: Alabama, Alaska, Arizona, Arkansas, Colorado, Connecticut, Delaware, Florida, Georgia, Idaho, Iowa, Kansas, Kentucky, Louisiana, Maine, Massachusetts, Michigan, Mississippi, Missouri, Montana, Nebraska, Nevada, New Hampshire, New Jersey, New Mexico, North Carolina, Ohio, Oklahoma, Pennsylvania, South Carolina, Tennessee, Texas, Utah, Vermont, Washington, D.C., West Virginia, Wyoming.